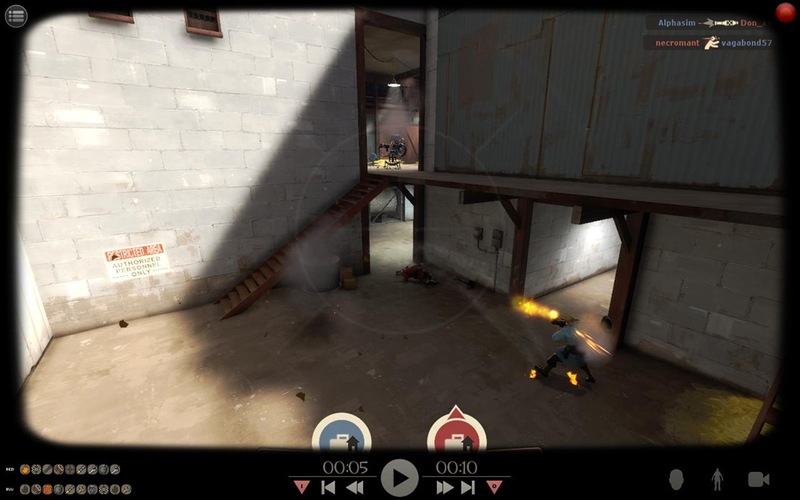 Valve has released a compelling new update for Team Fortress 2. their popular team-based multiplayer shooter. Entitled the Replay Update, it does just about what you’d expect: it introduces a record and replay function to the game. By joining a replay-enabled server you can capture your current or previous (if you just died) life with the press of a button for viewing and editing later. The concept is sound but unfortunately I’m yet to be able to comment on the finished videos because I haven’t been able to successfully produce one yet. The game crashes each time I try to render a clip, which for right now I’m attributing to my computer and not the game. The editing process is fairly straightforward for anyone who’d done video editing before but it lacks some explanation for newcomers. Replay enabled servers tend to stutter and lag more then others in my experience, probably due to the production and downloading of new videos every couple of seconds. I always enjoy joining a game community as it plays with a new game/expansion/patch and this was no different. If nothing else it gets people talking and that’s a good thing for all games, but especially one as old as TF2. I foresee a large number of pointless clips swarming YouTube via the in-game uploader, but for every 100 or so boring videos there’s bound to be a couple gems – and that’s what I like this update for. That, and seeing how and why I keep dying so damn much.